Inductive Logic Programming is a subfield of machine learning that uses logic programming as a uniform representation language for examples, background knowledge and hypothesis. Due to it expressive representation formalism based on first-order logic, ILP provides suitable means for multi-relational learning and data mining. The ILP conference is the premier international forum on logic-based and relational learning. The conference has broadened its scope and welcomes contributions to learning from multi-relational databases and non-trivially structured data, ranging from purely logic-based to alternative approaches, such as probabilistic or connectionist. 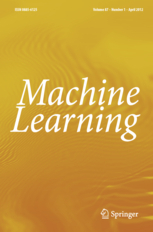 Work on ILP has explored several intersections to statistical learning and other probabilistic approaches, expanding research horizons significantly. We are pleased to announce that the 23rd International Conference on Inductive Logic Programming (ILP 2013) will be held in the "Cidade Maravilhosa" (Marvelous City) of Rio de Janeiro, Brazil, from Wednesday 28th to Friday 30th August 2013. ILP will be held at "Casa da Ciência da UFRJ" (UFRJ Science Home), next to the famous sugar loaf and close to several other marvelous touristic attractions. Rio de Janeiro has an incredible mix of beaches, lagoons, mountains and green areas, including the largest urban forest in the world. For all of these, UNESCO has designated Rio as a World Heritage site. Rio is going to host a number of matches of the FIFA World Cup in 2014, including the final one. In 2016, Rio de Janeiro is going to be the first city in South America to host the Olympic and Paralympic games. Rio is best known worldwide for the carnival, samba schools and football but it has increasingly become a significant center for research and development in Computer Science, since a number of international companies have established research centers here. We would also like to call your attention to the fact that Rio de Janeiro was chosen as the best place to visit in 2013 by The New York Times ! Abstract of long papers due. All deadlines are 0:00 Samoa time. The proceedings of ILP 2013 will be published in the LNCS/LNAI series of Springer.